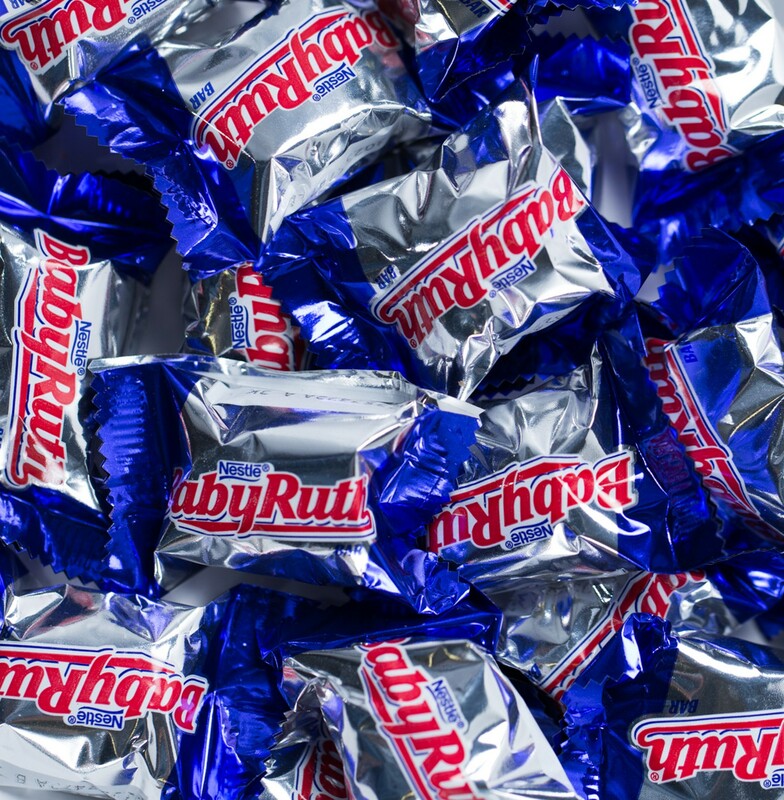 Baby Ruth bars from Nestle are the perfect combination of peanuts, chocolate and nougat. Enjoy a Baby Ruth bar on the go, around the house and anytime in between! Individually wrapped miniature size bars make for a deliciously light treat you can take with you no matter where you are. Perfect for Halloween, parties and promotions. Delivered in a 5 lb. bag. There are approximately 38 pieces per pound.